The Aberdeen Angus is one of the oldest cattle breeds in the world. It derives from cattle native to the counties of Aberdeenshire and Angus in north-eastern Scotland. From there it spread to other countries such as Argentina, Uruguay and the United States. It is currently one of the most popular breeds worldwide for the superior quality of its meat. Hugh Watson is generally acknowledged to have been the first systematic improver of the Aberdeen-Angus breed. In the mid-19th century, Watson collected a series of animals from far and wide on his farm in County Angus and selected the best for breeding purposes. When Watson began his cattle breeding business, his favourite bull was Old Jock, who was given the number “1” in the Scottish Herd Book. Watson, pioneer of the Angus breed, had six black cows and one bull at the beginning. He later added ten heifers of various colours and another black bull to this herd. He decided that the breed would be black and planned the crosses accordingly. William McCombie of Tillyfour was another successful breeder who was able to improve his stock through careful management of the beasts and planned mating. He achieved great success in the show ring such as his triumph in the 1878 Paris International Exhibition where he won first prize for the best foreign exhibit and first prize as the best breeder. Another very famous herd was that of Ballindalloch, in the Banf county, which furnished foundation stock to the herds to establish the breed in the United States and other countries. Sir George MacPherson-Grant refined the genetic heritage of the breed, starting the famous Ballindalloch bloodline that spread throughout Scotland and the rest of the world. McCombie and Grant, as prestigious ranchers, contributed to the improvement of the Angus breed and its expansion throughout the world. McCombie achieved great success in international competitions and Grant founded the first Angus herd outside Europe. 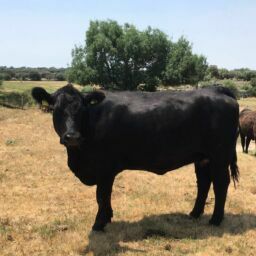 As transport and communications improved, farmers all over the world began to have access to stock different from their local breeds and the dissemination of the Angus became unstoppable. Major herds of purebred Angus were established in the American continent and new breeds were developed on the basis of Aberdeen-Angus genetics. 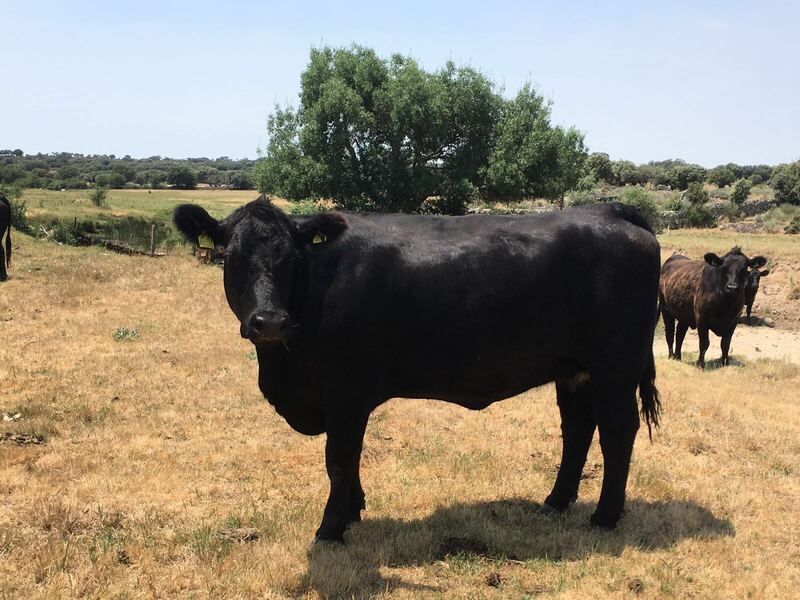 The quality of the Angus breed is universally recognised and demand is increasing in Spain for one of the best meats in the world. 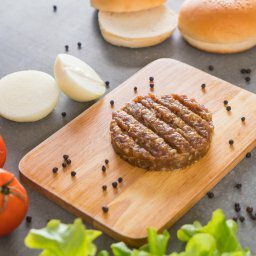 Hamburdehesas are endowed with extraordinary quality, flavour and juiciness. This is due to the distribution of the fat generated by the animal that infiltrates between the muscle fibres. 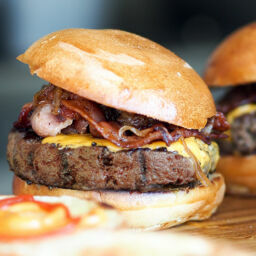 This provides the characteristic streakiness that makes it juicy, tender and contributes to its intense flavour. This is the basis of its exceptional quality. The fact that it is rich in Omega 3 fatty acids means that it is beneficial to the human organism. The Angus breed has been and will continue to be selected for generations for these properties that produce the best quality beef. Would you like to know why the first Aberdeen Angus breeders chose these animals? Do you know the peculiar features of this breed that provides such select meat? They are medium-sized, black or reddish in colour and are polled. The absence of horns reduces the risk of fights between cattle in their struggle to gain status and dominance. This translates to a lower number of physical injuries for the animals. They also have a docile temperament and are of gentle character. They demand few maintenance needs. The calves are fed with their mothers’ milk during the first 10 months. They live in full freedom in a completely natural manner. They are raised without stress or aggressive fattening. 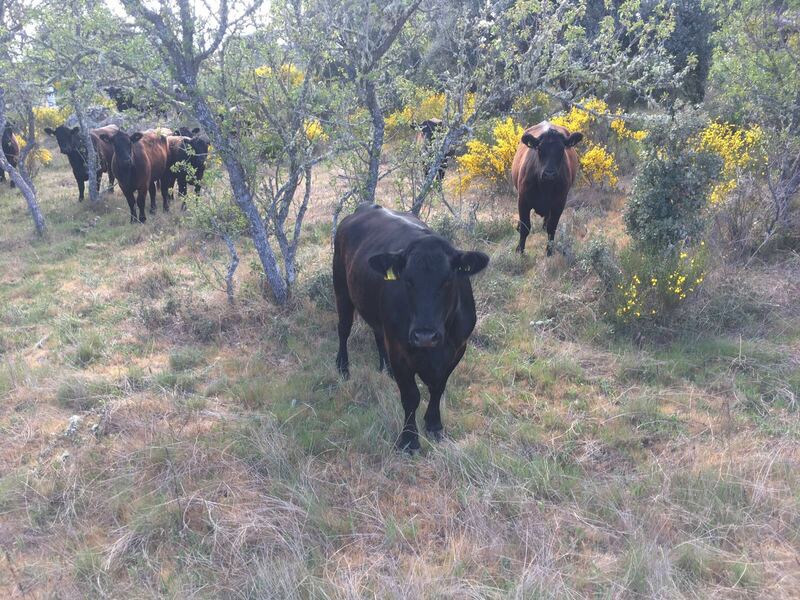 They feed in the dehesa on pastures free of treatment with chemicals such as fungicides or fertilizers. Their diet is complemented by a mixture of cereals, especially corn. They are precocious reproducers, blessed with exceptional fertility and are sexually long-lived. They are excellent mothers with a strong maternal instinct and superb milk production for their offspring. They normally give birth easily since the calves are born with an average weight of only 30 to 35 kg. The breed has also spread throughout the world due to its enormous capacity for adaptation, resistance to harsh conditions and ability to ruminate. Therefore, it does not require long periods to adapt to new territories. It acclimatises rapidly and naturally to new environments.